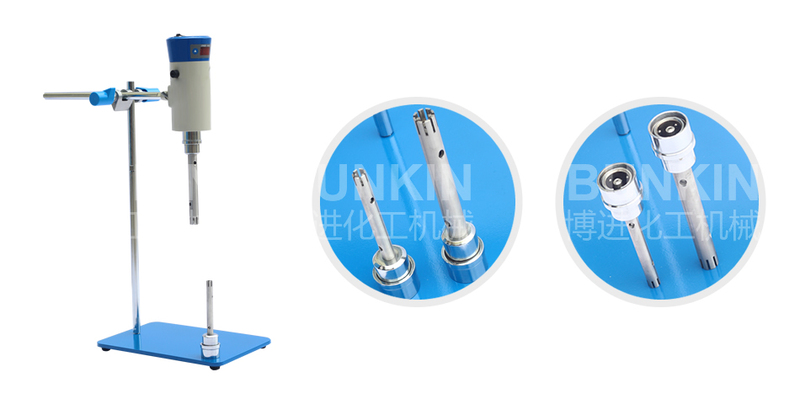 Lab Homogenizer_Anhui Bunkin Chemical Machinery Co.,LTD. Homogeneous head quick release design, easy to replace, easy to clean. Lab homogenizer has higher velocity and can complete dispersing, homogenizing, emulsifying and mixing better and more efficiently. 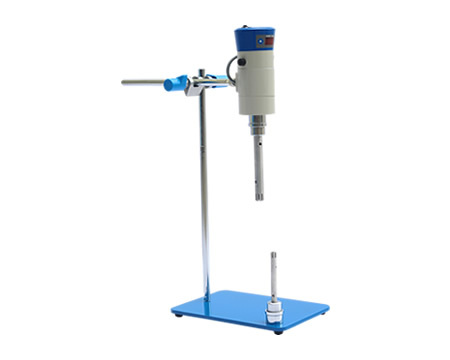 It is an ideal lab emulsifying equipment. Applicable materials: Applicable for production process for solution, gel, suspension, or emulsion of solid - liquid, liquid - liquid materials such as juice, soup bases, milk production, tissue, homogenate, cosmetics, surfactants, asphalt, emulsifier, oil field chemicals, etc.